Cheeba Chews are available at all 3 of our locations in Las Vegas, Reno & Henderson offering a wide variety of concentrates for our customers. Stop by or contact us our helpful staff to assist in picking the right edible for you. Indica, Hybrid, CBD, and Sativa Cheeba Chews. 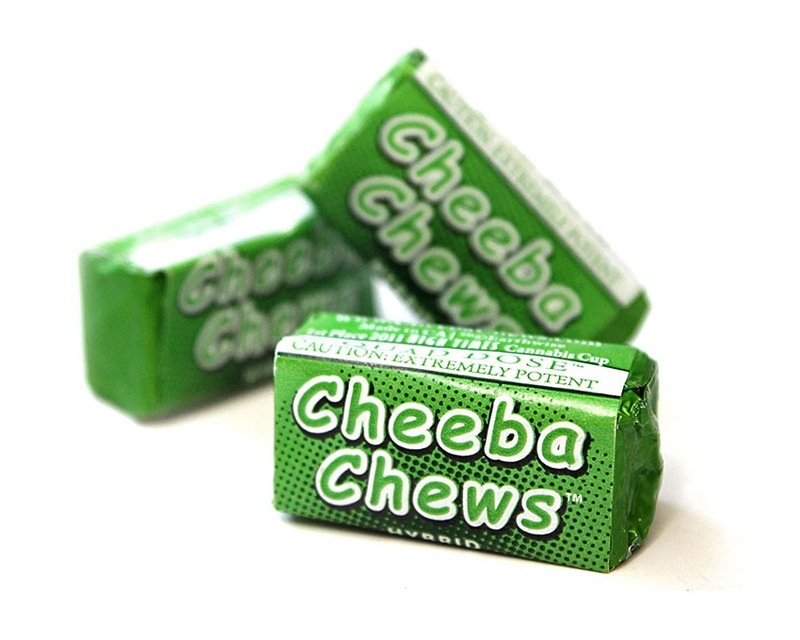 Cheeba Chews are the edible alternative to smoking that is available as a hybrid, sativa, indica, and CBD. It is one of the most well-known brands in the industry for its high quality, consistency, and reliability – knowing the exact dosage of each edible consumed. Cheeba Chews are medical grade cannabis-infused edibles, meaning they have a therapeutic effect. For predicting effects, The Dispensary NV offers sativa, indica, hybrid and CBD Cheeba Chews. Sativa chews are recommended for those looking for an uplifting, active effect. Have a project due soon and need an added boost of creativity? Sativa is your strain. For a more relaxing type of nightcap right before bed or just to relax, Indica is the preferred strain. The Hybrid is more likely to be in the middle for a happy medium of uplifting and calm. Combining THC and CBD allow it a more mild effect. Last, but not least, are the CBD Cheeba Chews. CBD is typically used to calm anxiety, reduce inflammation and is an ideal cannabinoid for those who do not want the euphoric high associated with THC. The CBD chews are great for those looking to reduce anxiety and mild pain relief. Edibles are known for not taking effect as immediate as smoking marijuana. They generally take up to 30-plus minutes before the effects are really felt. During that time and after, it is important to stay hydrated and do not operate any type of heavy machinery. The dosage for Cheeba Chews are highly accurate, which contributes to why it is such a preferred brand amongst users – you know what you’re getting every time you consume one. The effect can last anywhere from 2 to 6 hours, making it important to know the desired effect before consuming. Storage tips: They’re discreet and easily stored anywhere. The best place is in a dry, cool place, out of reach of children. Want a smaller dose? Make sure the container is labeled with the dosage and cut the edible in half. The Dispensary NV has locations in Las Vegas, Henderson, and Reno with knowledgeable staff who are happy to answer any questions you have about Cheeba Chews.